ASIA EUROPE TRADE, Drikker - import/eksport, Meieriprodukter, Fryst og dypfryst,r på EUROPAGES. Asia Europe Trade (AET) is a European company with offices in Europe and Asia specialized in trading 1) in Fast Moving Consumer Goods (FMCG) 2) Private Labels (confectionaries, drinks, food and non food) 3) A-Brands top International Brands trading 4) One stop solution and supply door-2-door and port-2-port of goods for super and hypermarkets and e-commerce 5) Wines , Whisky and Alcohols 6) Milk and Dairy products. 7). cheese (frozen or fresh) 8). fruits and vegetable Contact us, we’ll give you a fast, efficient and competitive answer tailor made. We deal in minimum one pallet per SKU and can consolidate 20’ and 40’ containers. 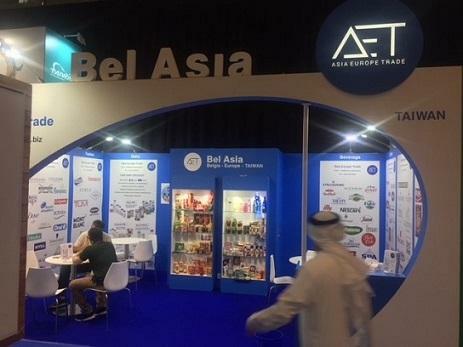 AET can supply : P&G, Unilever, Ferrero, International Beer and Mineral Water Brands, Coca-Cola, Pepsi, Nestle, Kraft, Cadbury, Kimberly-Clark, Henkel, Ritter Sport, Mondelez, etc. 7) Non food ( coockware, fasionary, cosmetics, beauty & health, perfums, battery). We work without stock to guarantee the freshest production and the best price. So, feel free to send us your inquiry and we will propose you the best solution. Denne bedriften har publisert nyheter på andre språk. Se disse nå.